In the United States, a new car used to be a symbol of success and status. Who didn’t want a 3-car garage with 3 shiny cars to go inside? 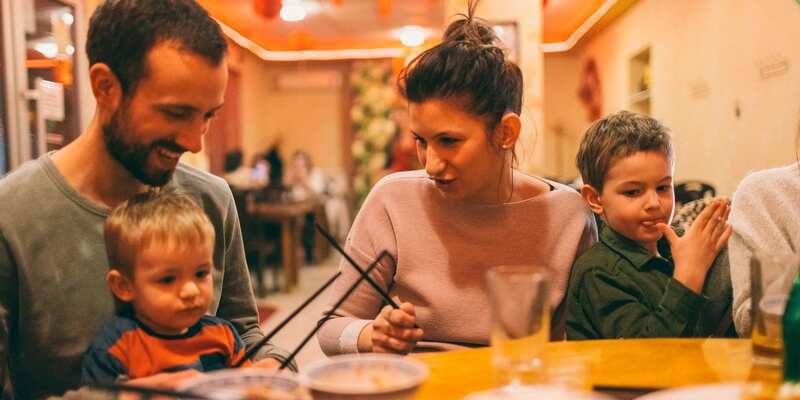 In many ways a new car is still very much a part of the American dream but in recent years, following a housing crisis, recession, and economic uncertainty, some consumers have placed more of a value on quality and reliability – opting to take better care of the vehicle they have versus purchasing a new one. What does this shift in consumer behavior mean for auto services and tire stores? Is the trend of driving older vehicles expected to continue? And how can businesses reach the right people with the right kind of messaging? Let’s see what the stats say. What’s the Average Vehicle Age? Looking at the data below from the U.S. Department of Transportation’s Bureau of Transport Statistics on average age of vehicles, we can see that the average age of vehicles this year is almost 12 years old. And it doesn’t appear that the average age of vehicles will be dropping anytime soon. This means that at least for the next 5 years, we’ll likely be seeing more buying, selling, and driving of older vehicles. And some used vehicles have quite a following. According to Kelly Blue Book, a used Toyota Tacoma has a 36-month resale value of 69.4% and 60-month resale at 62.2%. It has held the #1 resale value spot for 5 years in a row. Jeep Wrangler, another vehicle with a strong following, ranks #2 in resale value. With the popularity of used cars, even those with high resale values, comes wear and tear. 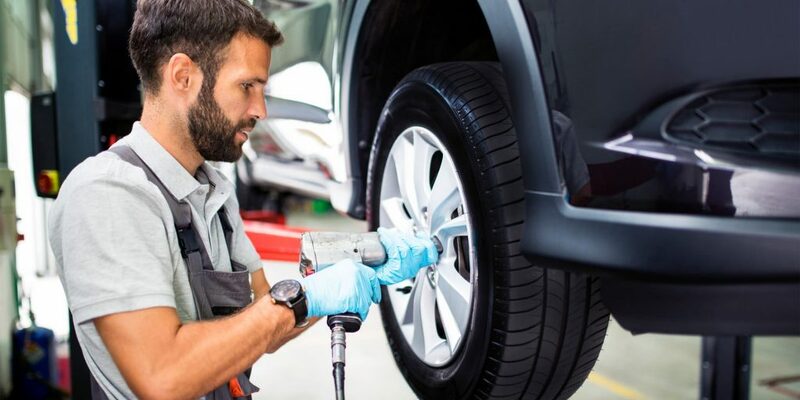 Tires need replacing, vehicles need realignment, and then there is always a need for scheduled maintenance… especially if the customer plans on keeping the vehicle for a while. This is the kind of messaging that service and tire customers need to keep top of mind – that even though they own a tough, reliable truck, they’ll enjoy it for many more years if they do x, y, and z. 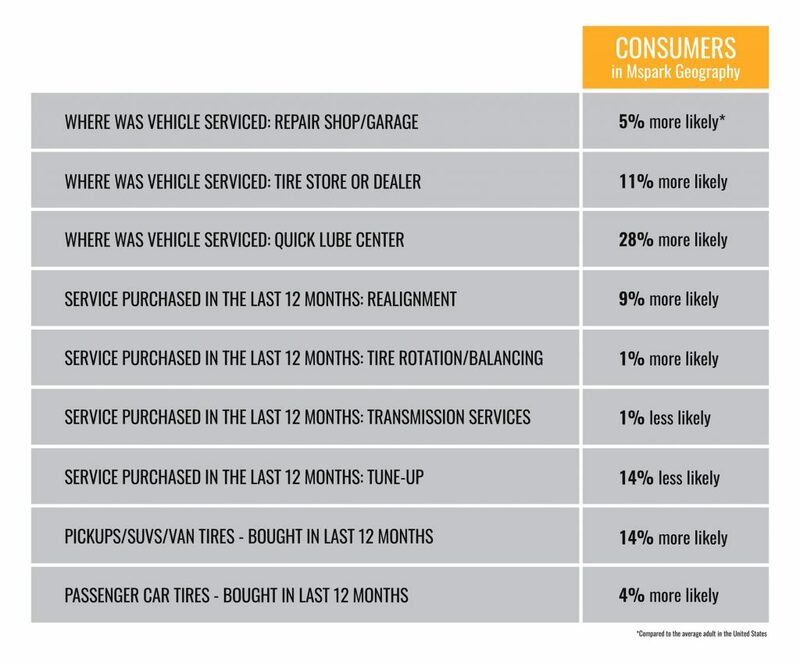 What Kind of Auto Services and Tires are Consumers Purchasing? We were curious about what kind of services and tires vehicle owners in our geography purchase. In the chart below, it’s clear that realignment services are popular as well as tire rotation and balancing. But consumers in our geography are slightly less likely to have purchased tune-ups or transmission services. 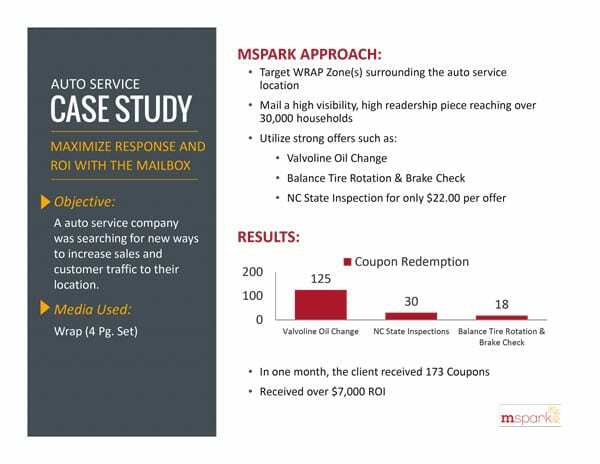 For service shops, this represents an opportunity to reach out to these consumers who may either be doing the work themselves or not prioritizing needed maintenance. For tire stores, we see that consumers in our geography are more likely than average to purchase car and truck tires – and more likely to have their vehicle serviced at a tire store. This an opportunity to stay top of mind with these consumers and let them be the first to know when you have new products in stock. How Can Auto and Tire Shops Attract Customers? 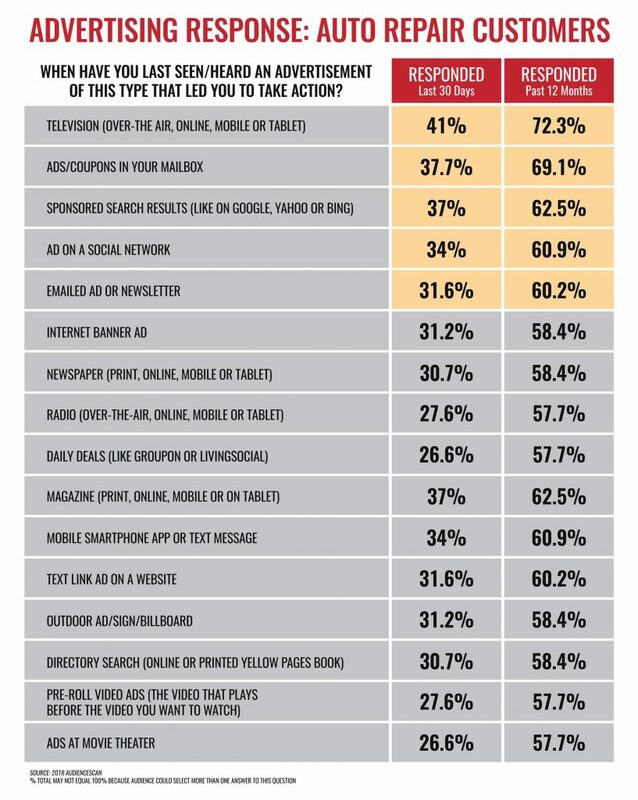 We were curious about how auto repair and tire shoppers respond to different kinds of media. 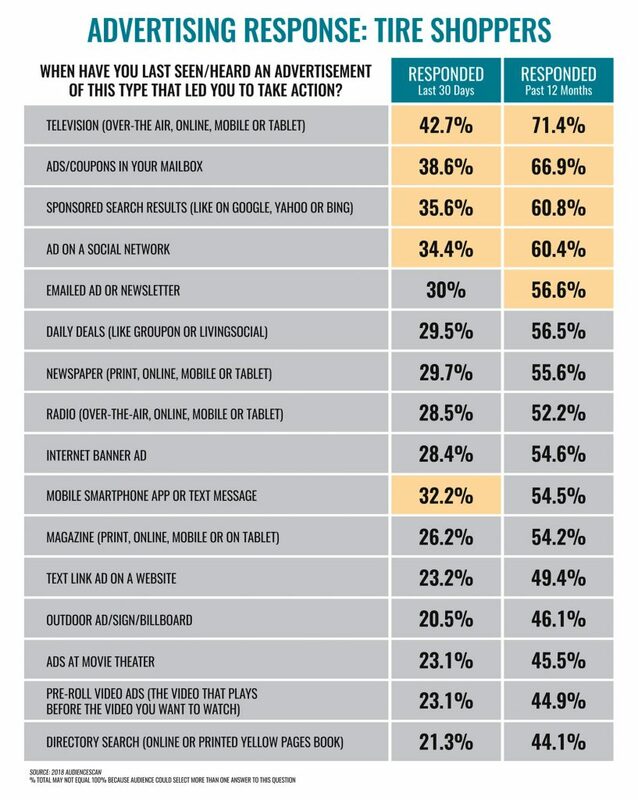 The charts below tell us TV ads are an effective way to get customer to take action – but we also see direct mail is highly effective as well – especially over the course of a year. Shared mail is a cost-effective way to target your ad to very specific area because your postage cost is shared with other advertisers. Ads in the mailbox offer a great way to promote awareness of your business and highlight your services and products, and including coupons helps get customers in the door. Shared direct mails also gives you the ability to create these one-on-one messages in a tangible format. The combination of precise customer targeting, and a tangible printed piece keep your message in front of your customer or prospect and serve as a reminder of the action you want them to take. These charts point to opportunity auto and tire shops have to really capitalize during this period of time where more people are driving older cars. 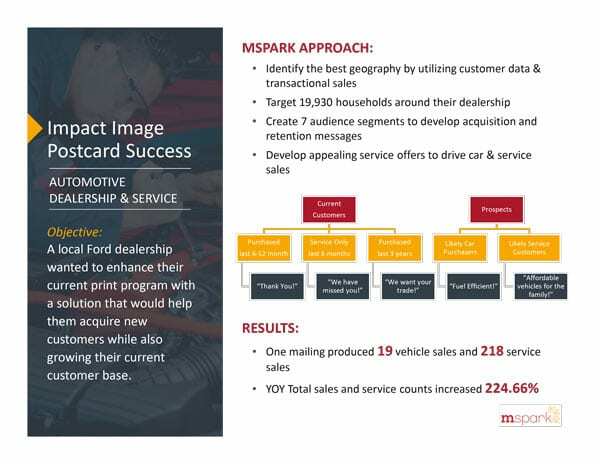 And in fact, auto and tire businesses are already seeing success using direct mail as part of their marketing mix. 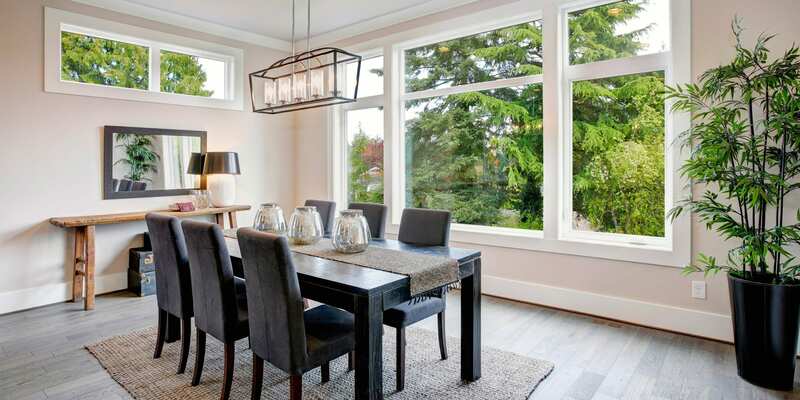 Here are a few success stories from our clients that we think are great examples.